Ognyan Kounchev received his M.S. in partial differential equations from Sofia University, Bulgaria and his Ph.D. in optimal control of partial differential equations and numerical methods from the University of Belarus, Minsk. He was awarded a grant from the Volkswagen Foundation (1996-1999) for studying the applications of partial differential equations in approximation and spline theory. 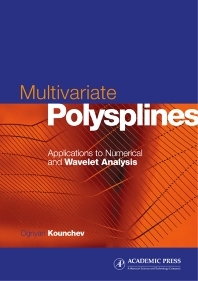 Currently, Dr Kounchev is a Fulbright Scholar at the University of Wisconsin-Madison where he works in the Wavelet Ideal Data Representation Center in the Department of Computer Sciences.